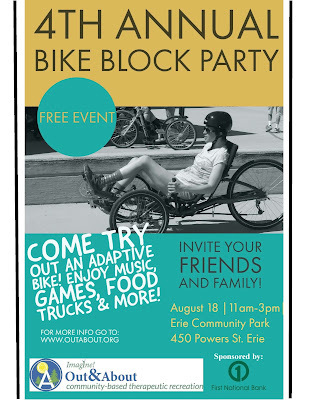 Imagine!’s Out & About department is hosting its Fourth Annual Bike Block Party, sponsored by First National Bank, on August 18th, 11am-3pm, at Erie Community Park. You are invited to join us for what is sure to be a fun and inclusive event. 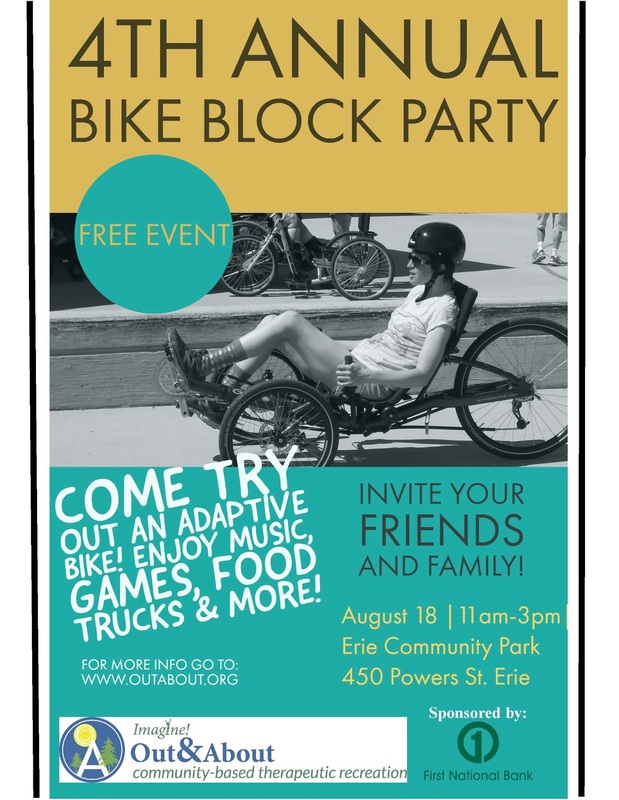 If you can’t join us but still want to participate, consider sponsoring a rider to help Out & About raise funds to support its efforts to make a positive difference in the lives of people with developmental disabilities and their families by providing positive instruction and community-based services within a therapeutic framework. Check out the short video below to learn more, and click here to sponsor a rider!